Also rated as a "Best Buy", the F85 treadmill is reviewed by the Treadmill Dr. as "The Best Folding Treadmill". The top model in the folding series and SOLE's number one seller, the F85 treadmill incorporates all the specs of the F83 plus features the highest horse power motor that Sole offers. A truly impressive 3.50HP Continuous Duty HP motor with output and performance second to none.This model has up to six auto programs and two user-customized workouts. It also has two separate heart rate control programs. It's fully equipped with all the programs and customization you'd expect. The F85 also incorporates the largest deck that SOLE offers, an exceptional 22" wide running surface that is comfortable for any runner. The heart-rate control option automatically calculates your recommended target range based on your age. So you can be assured of the most efficient and safest workout possible.Without question, the top of the SOLE folding treadmill line. Just press a button and take your stride to speeds up to 12 mph. In fact, the F85 can handle users weighing up to 400 lbs.Other features include a low-noise deck, Cushion Flex shock absorption treadmill deck, our longest commercial-sized belt and low-profile running hood. The latest cost of Sole F85 Treadmill will be updated soon. *Note: Most of the sites, stores or shopping portals listed above sell Sole F85 Treadmill with discounts and other exciting offers. 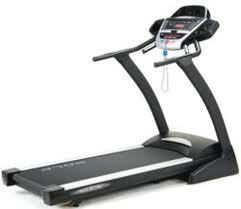 There is a possibility that the some of above websites are not selling Sole F85 Treadmill now. Toughtrain.com is not liable for such cases or instances. Also we do not recommend any seller for Sole F85 Treadmill and a buyer should buy from where he/she gets best deal with quality of products, service and on time delivery (shipment).